5 Common Problems with Web Design Companies and why we're different. Getting a new website is exciting. Thinking about the colours, the styles, the layout, the endless possibilities. It’s understandable that you would want to jump into it feet first and hire an agency quickly to build your new website. Before you do, I wanted to make you aware of a few hurdles you might face. I’ve been running a web design business for over five years, and I’ve noticed a number of frustrations and problems with other web design companies. I’ve made an effort to listen to what people say so I can understand their frustrations, that way I don’t make the same mistakes with my business. 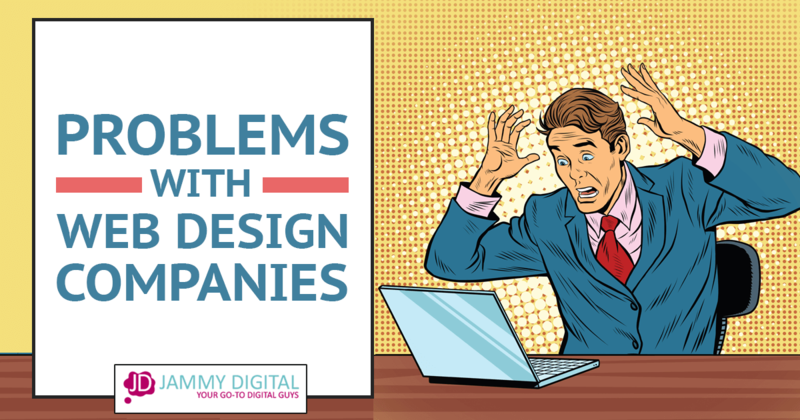 What are the main problems you might face when hiring a web design agency? Most web design companies don’t display any pricing information on their website. They expect you to call them up or fill out an online form to be able to find out what they might charge. This is pretty frustrating. You might have a budget in mind, it might be high, it might be low but if you can’t find any information on their website you could spend hours contacting a number of companies and explaining what you want, only to find that they are way out of your price range. Obviously, websites are not all built the same, they have many different features, and the price for one can be completely different for another. However, wouldn’t it be easier for everyone if they gave you some indication at least without having to contact them. Even if they said “starting at £5,000” if you only had a budget of £1,000 you would know they are not the right company for you. Like many other companies, the price for our web design packages varies depending on what you want. But we know that most of the websites we build cost between £3K–£5K. This is why we clearly state this information on our website. There are rare occasions that we might charge outside of this range, but at least you know what kind of figure we’re likely to quote. We’ve also written a number of blog posts about our pricing structure and what you get for your money. We allow you to compare our service with other companies in your own time. You get to see our entire process from start to finish and make your own decision. Website design is a technical skill, and it can get pretty complicated at times. Web design companies like to use lots of jargon, some of which ends up on their website. Phrases like CSS, HTML5 and PHP may sound impressive, but they don’t mean anything to ordinary business owners looking to hire a web designer for their new website. It’s more likely going to confuse you and leave you with more questions. We know that your website needs to look good, work well and deliver traffic and customers. You shouldn’t need to worry about the technical aspects of how it’s built. You just want results. We understand that what we do may seem complex. It can be, but it doesn’t have to be complicated for you. We do our best to eliminate the fancy jargon when speaking to you about your project via Skype, email and phone and make things easy to understand. We also created a jargon buster on our website which will help you understand all the fancy lingo that techie folk like to use. Search engine optimisation or SEO will play a big part in the success of your website. It’s about how well your website follows the guidelines that Google set. Some web design companies focus entirely on DESIGN. 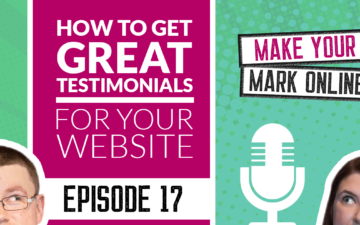 They tend to focus on making your website look good and leave the SEO stuff to you. That’s ok if you know what you’re doing but wouldn’t it be good if your web designer at least thought about search engines while building your website. After all, you could have the best-looking website in the world but if nobody can find you on Google then what’s the point. We have an extensive knowledge of SEO and have been lucky enough to work with hundreds of clients over the years. We teach SEO, run workshops and offer 1-2-1 private coaching. We build every website with SEO in mind, everything we do will have some impact on your search engine rankings. This is why we take our time throughout the design process. We think about website content, page layout, menu structure, technical SEO, page speed and much more. Yes, we STILL design great looking websites, but we also build search engine friendly websites too. Another major problem with web design companies is the level of support you get from them once your website has gone live. It’s only natural that you’ll have a few questions once your new site is live and you’d expect to be able to contact your web designer for a little support. Unfortunately, this isn’t always the case. Some agencies feel that once your website is live, you are now on your own. They may even try and charge you hourly for any additional support time, every email or phone call. It’s sad, but it happens. We love helping clients with their website. Especially after you launch. There may be the odd tech question you want to ask, or maybe you want some advice about blogging. We are always happy to help. Depending on the level of support you need, we may suggest taking out a maintenance package with us, but this is optional. Some of our web design packages include a 1-2-1 coaching session once the website is live so we can help you make the most of your new website. We also send you a series of video tutorials showing you how to update your website yourself without having to speak to us. Whatever you need we are here for you. A lot of web designers don’t take the time to truly understand your business. They tend to focus on surface-level information, e.g. how many pages do you need, what do you sell, how can people get in touch. 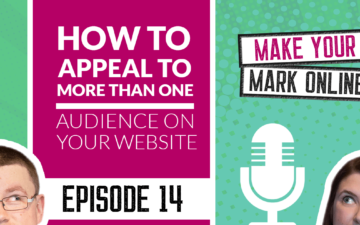 By only focusing on the basics, they will miss some really important information that could lead to you getting more enquires and sales later down the road. Without gathering this information, it’s pretty much impossible to create a website that’s good enough to do what you want it to. Before we start building your website, we arrange a video call so we can gather as much information as we can. This usually lasts for an hour. Once we have done this, we’ll send you a questionnaire to fill out where we ask more questions about your business. This will allow us to get a clearer understanding and set an action plan for moving forward. Once we have all this, we’ll then do our own research into your competitors and your target audience and come up with a plan to designing a website that truly works for you. As you can see, there are many key issues you will want to look out for when approaching web design companies about your new website. Be very careful to do your research before hiring a web design agency for your new project. Have you ever hired a web design agency? What were the problems that you faced? I’d love to you hear from you, so please leave a comment below. The real facts you have talked on your post. I have contacted with so many agencies and hired an agency, but i am not satisfied with their performance. You are right, most of the agency don’t follow SEO metrics. Than, i hire a professional web developer, not any agency. Then, i get what i need. BTW, thanks for sharing these actual lacking of web developer agencies.